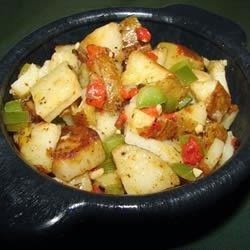 This simple potato, onion and green bell pepper dish goes well with nearly everything! We suggest serving it alongside your favorite meatloaf. Hungarian paprika is the secret taste sensation in this recipe!